I had planned to train 8 hours in total this week, which doesn’t sound like much but for me it’s a challenge sometimes. I had to skip the bike to and from work thing because it was too dangerous with the snow and ice. I did take Friday off as a micro taper for yesterday’s erg race, so I knew I wanted to do something that was long but fun at the same time. Sorry, a 4×20 minute erg (or longer) doesn’t classify. The lake is definitely frozen over completely, so that wasn’t an option either. Would also have been slightly mad and dangerous to go out alone in a single in these temperatures. Running is ideal. I don’t mind to run slow. I enjoy it. It’s outdoors and thus fun by definition. 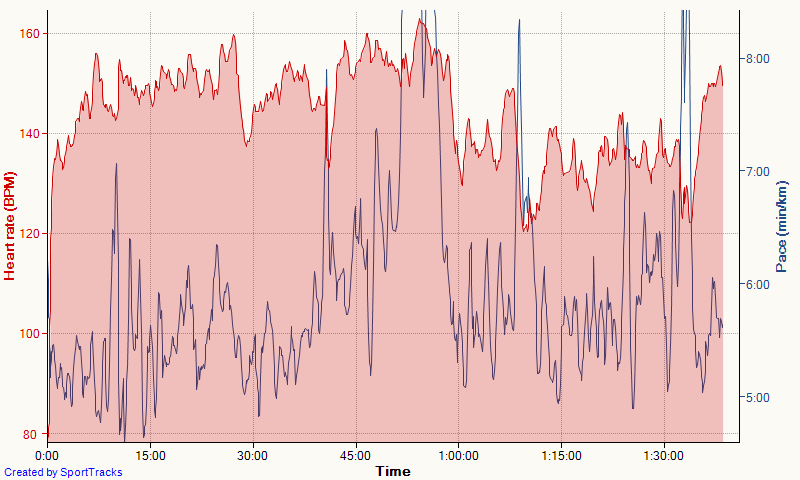 Also, I wouldn’t bother anyone running and smiling while mentally reviewing the highlights of yesterday’s erg race. Did I mention that I PB’ed after 5 years of trying? So I put on my trail shoes and set out. It was above zero so the risk of ice was minimal. The first part was along the railroad to Lelekovice and was mostly on dry paved road. 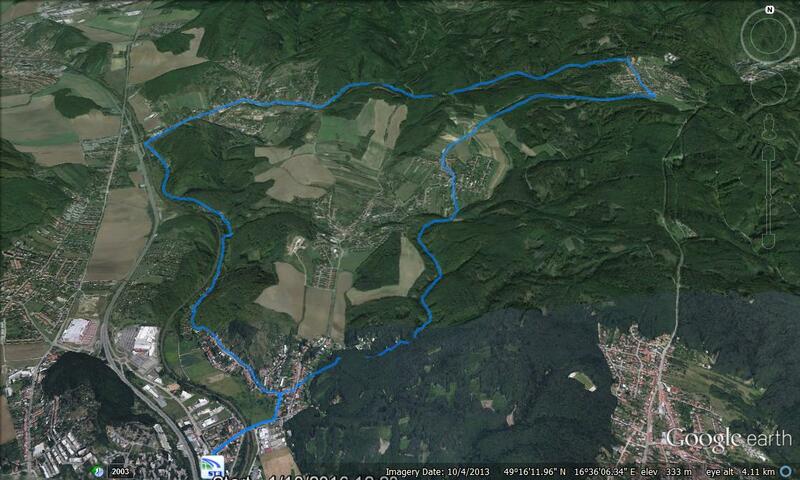 After Lelekovice I took the yellow hiking trail up to Útěchov. 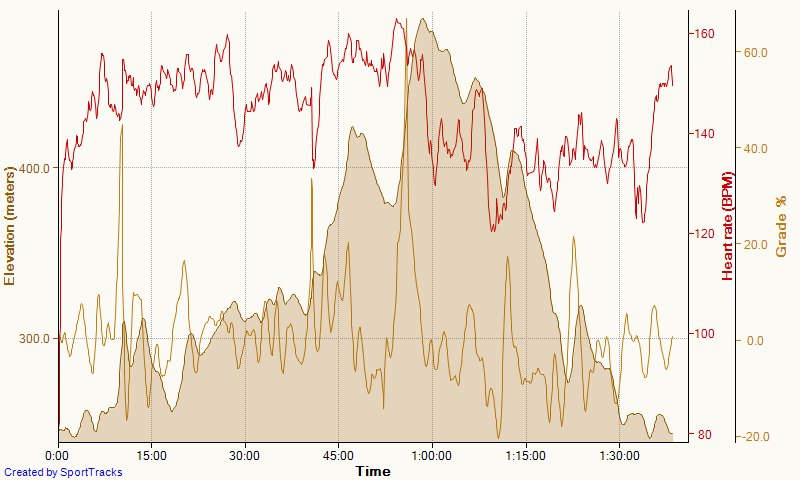 My erg legs didn’t like the steep climb there so I slowed down and hiked for a few minutes. Turns out it was a Strava “segment”. Well, so what! In Útěchov I switched to the blue trail down to Ořešín. That sounds easier than it was in practice. Útěchov was inside a cloud. Visibility was not further than the next tree or lamp post, and it was the first time I did this route, so I had to guess a bit. Luckily I guessed right. Down to Ořešín along the horse ranch, then, continuing the blue route, passing Jehnice to Mokrá Hora, and back home. A nice almost 17km run. It was quite slippery in some places, and I just slowed down to avoid a fall. The run ended up quite slow.